Smart TV Aerials can advise you on your European satellite options and the satellite TV channels, languages available. With many satellites available, there are thousands of satellite TV channels to choose from, including a number of ‘free to air’ TV channels you can enjoy with no monthly fee or subscription. There are also several premium subscription television channels, and encrypted channels which require a decryption card to be unlocked. Your European satellite receiver will need a CAM for these channels. We can supply and fit Italian,French,Spanish and other Satellite systems. We supply and install satellite TV system to watch Spanish free to air digital TV channels in the Bedfordshire area. They are 100% digital freeview- no cards, subscriptions or monthly payments are required. They are also upgradable to watch Pay channels in the future (you just buy the card). We supply and install French TNT SAT System which is now available on Astra 1. This system will allow you to watch many French Channels which are free to air within the UK. Additionally, there are some Spanish and German channels included. 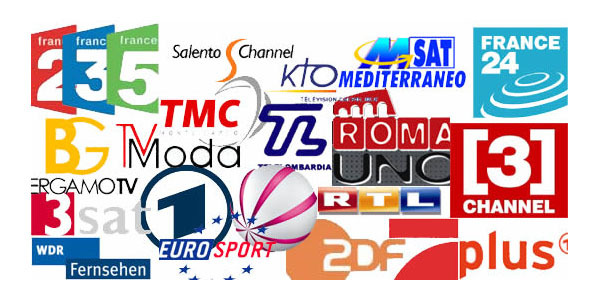 We supply and install satellite TV system to watch Italian free to air digital TV channels within the UK. It is 100% digital freeview- no cards, subscriptions or monthly payments are required. RAI UNO, RAI DUE, RAI TRE, RAI EDU 2, RAI MED, CANALE ITALIA, DENARO TV, GBR, ITALIANI NEL MONDO, NAPOLI NOVA, NEW TV, NOTSTRADAMUS, STUDIO EUROPA, TELEMARKET, TV MODA, ELITE SHOP, FAMILY LIFE TV, FREE CHANNEL, GIOIELLI D’ANNA, ITALIAN TV CH, MAGIC TV, ODEON TELENORD, ODEON TV, VIDEOLINA, ARCOIRIS TV EXTRA 3, ISHTAR TV, JOLLY, PLANET ITALIA, TAXI CHANNEL, TELETIRENO, TOSCANA CHANNEL, TV7 LOMBARDIA, TV CANCAO NOVA, VENICE CHANNEL, SARDEGNA UNO SAT, SET, SICILIA INT’l, TELEFORTUNE, TRSP, RAI UTILE, RAI DOC, RAI EDU 1, RAI FUTURA, RAI NEWS 24, RAI SPORT SAT, TELE CAMPIONE, TELEMODENA, TELENORD, VARSESAT, AB, All TV, CHALLENGER TV, EUROPLUS, G POINT, ITALY & ITALY, JULIE CHANNEL, LA 9, LAZIO CHANNEL, LIBERO, MEDITERRANEO SAT2, NAPOLI MIA, PUNTO SAT, RETE ORO, SAT2000, TELE MODENA SAT Additionally, there are some German channels included. We supply and install satellite TV system to watch the Russian free to air digital TV channels within the UK. CNL, Euro News, Perviy kanal Europa, Planeta Sport, R1 Promo, RBK TV, RTR Planeta, RTVI Info, Ru TV, Russian MusicBox, Smile TV, TBN Rossiya, Vesti. Dish aligned to the satellite you want to receive from. 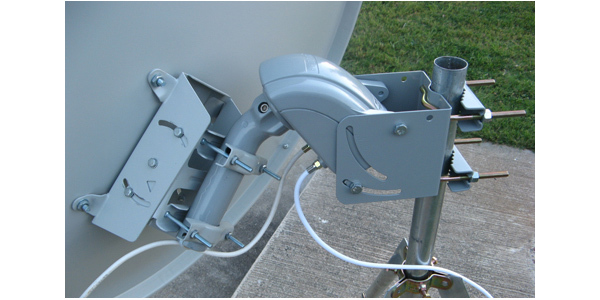 LNB attached to the arm on the dish. The satellite receiver with its own remote control and suitable cable and plugs. We have all the necessary equipment to provide you with professional installation of your satellite dish and receiver. If you already have a foreign satellite TV system but are having reception issues or are not receiving the TV channels you would like, we can help. We can fully install and service fixed or motorised satellite systems for you. We only use the best equipment so that your system will last for many years to come. Our European satellite engineer has over 20 years experience in the industry so you can feel rest assured that he will get the job done perfectly the first time round. Smart TV Aerials also offer low cost servicing and repairs so if your system has stopped working we can help.